One thing you may not guess about me is that I’m a bit of a news/political junkie. I like to be informed. I watched both conventions. I think our votes matter. And, if there’s ever been a year to have a front row seat….this is the year. Who knows where things will end up in November, but as of today, it’s a cage match. So….thinking ahead, this is the year to think about hosting an Election Night party in November. 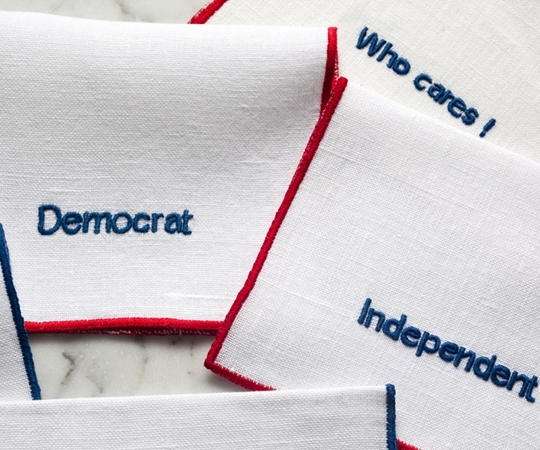 Julia B. has created the perfect cocktail napkins for the occassion. Whether you’re with “Her”, feeling the “Bern”, or want to “Make America Great Again”, we are all in this country together and whoever wins this election….WE must live and work together. 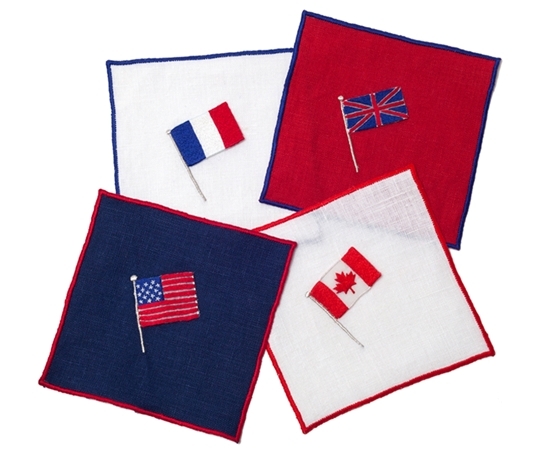 International relations are also a key part of this election…so Julia has you covered there, too! Yesterday, was the birthday of one of our country’s favorite first lady’s…Jackie Kennedy…and she had 4 key pieces of advice for hostesses. You can find them here! Whatever your beliefs are….let’s celebrate that we all have a voice and a choice! Let the general election begin! Having studied politics I always like to be abreast of the situation. This election is very important, it would be nice if both sides started to speak about the issues instead of slinging mud. 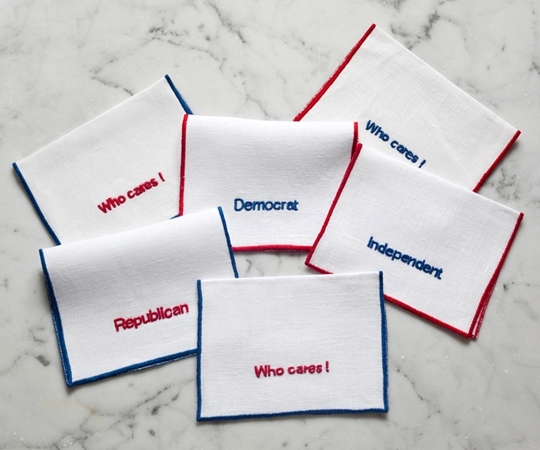 Love these napkins! I might need a set. Love these! I am known among my friends/family to be obsessed with politics..though this year I am wondering why lol. It has become a bit of a circus…..and so unpredictable. I put a survey on my blog today and the results so far have really surprised me somehow. 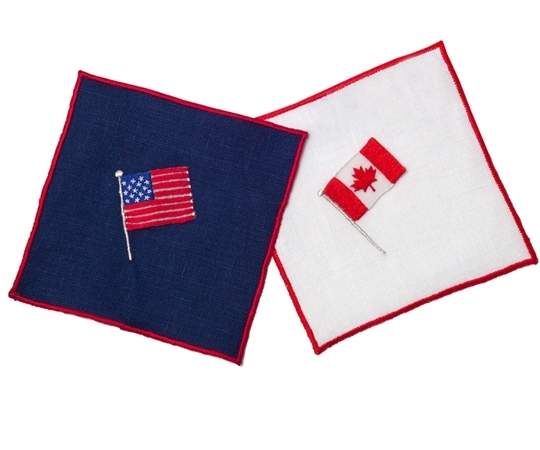 Love that these adorable napkins take the seriousness out of the game and add some fun, whimsy and much needed elegance to the equation. Happy Sunday!